Working with a four person team, our goal was to give people a tangible way to display and interact with their digital reading collections. 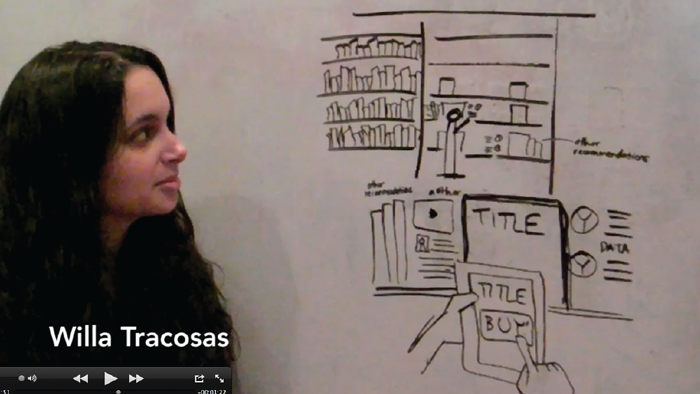 Projected, full scale, prototype of the book wall showing the library title view. Our Book Wall concept is a project interface that allows users to display their digital collection in physical space, easily explore their book collections and also share and converse with others about their collection. 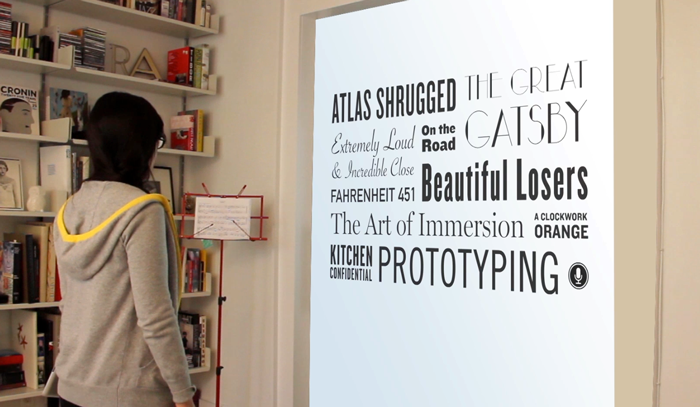 The wall uses voice, gesture and touch as possible ways to interact with the content. E-readers don’t allow books to be conversation pieces since digital book collections are limited to personal reading devices. Abundant meta-data enables richer browsing experiences. The user can track personal reading habits and also use the wealth of information available on the internet to add more context and understanding to the reading. We see an opportunity to provide a platform for book conversations and exchanges. Sharing is much easier with digital media and it also allows you to take your collection on the go. Different interface modes of the book wall: 1) library by title, 2) library by cover, 3) stats, 4) quotes you've highlighted. The team went through quite a few levels of prototypes which were able to put in front of our classmates in order to help us refine our proposed user flows and what we were designing. See examples of these below. Views of prototypes of varying levels of fidelity that we made throughout our design process. 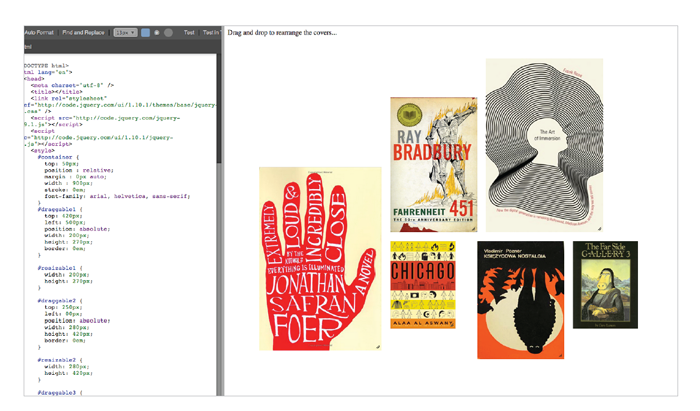 Interactive prototype of the cover library view.